Bearing Pads Manufacturer, Bearing Pads Manufacturer in Pune. An elastomeric bridge bearing is a commonly used modern bridge bearing. There are several different similar types of bridge bearings that include neoprene bearing pads, neoprene bridge bearings, laminated elastomeric bearings and seismic isolators, which are all generally referred to as bridge bearing pads in the construction industry. Internal structure consists of a sandwich of mild steel shims and rubber moulded as one unit. Elastomeric bearing pads compress on vertical load and accommodate horizontal rotation and provide lateral shear movement. 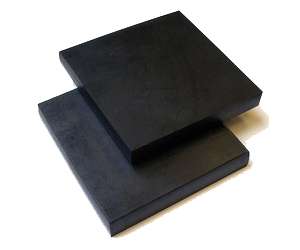 Elastomeric bearing pads are the most economical solution used in construction of large span bridges and buildings.